Walkera over the time became a favorite drone brand among RC enthusiasts. 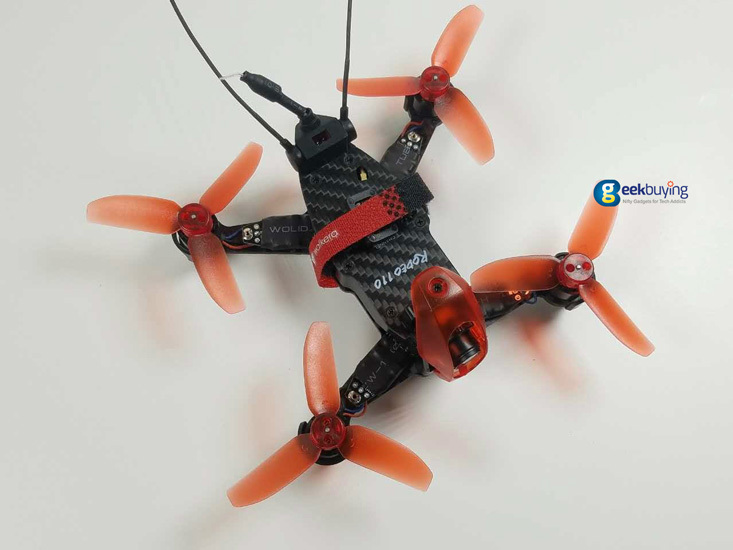 Lately, they released its smallest FPV racer — Rodeo 110. 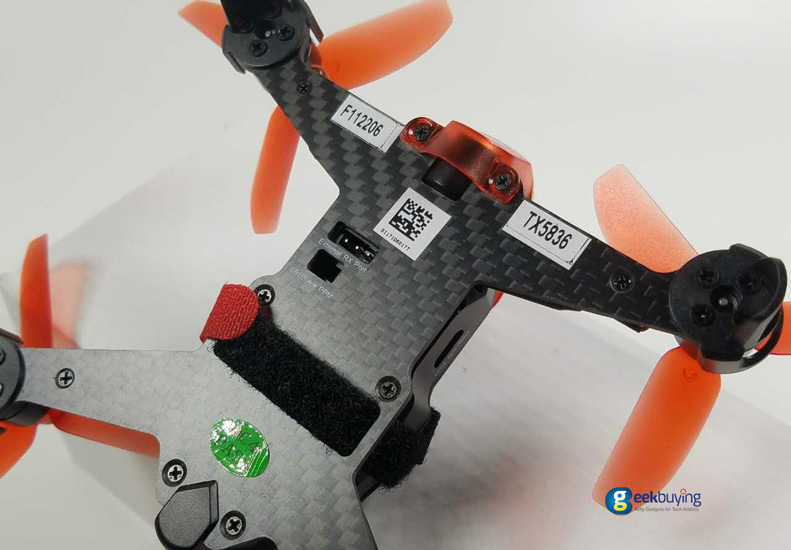 With a wingspan of 110mm, or 4.3 inches, this is one of the smallest drones with brushless motors in the market. 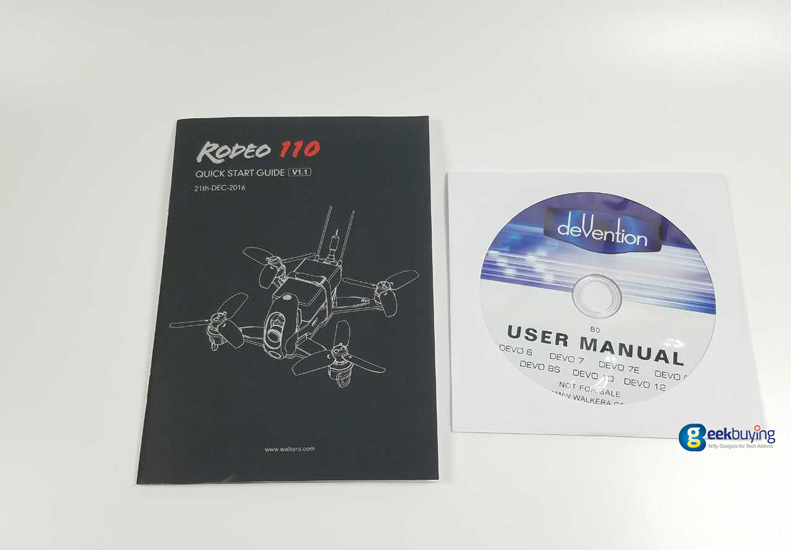 The Rodeo 110 was also announced in two versions, BNF and RTF. 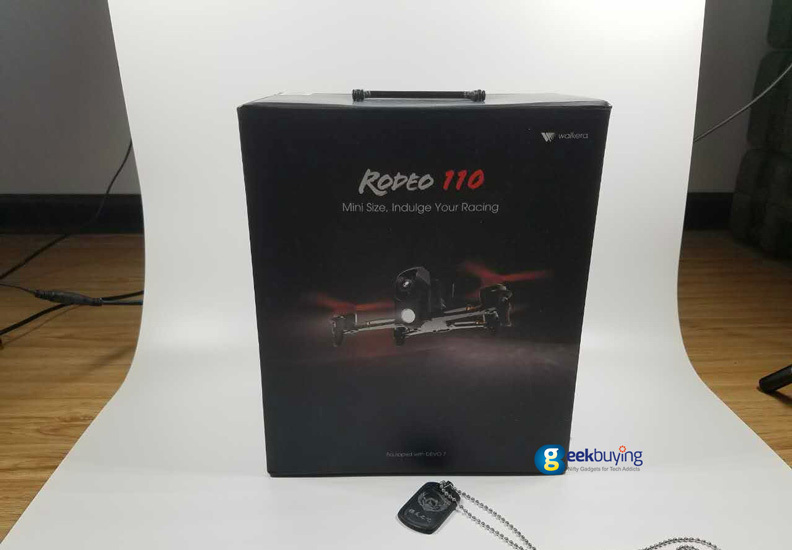 The product comes in a black box with Rodeo 110 logo on it. There are two layers in the box. 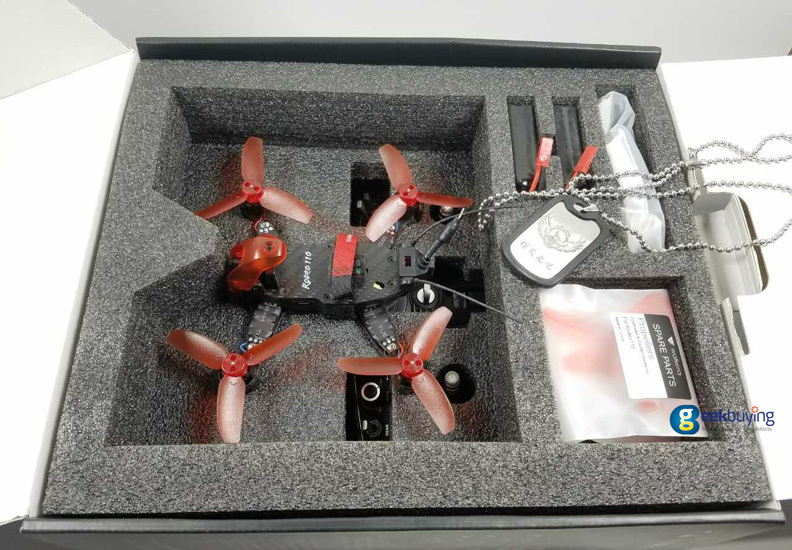 The Walkera Rodeo 110 quadcopter, battery and extra propellers lie in the upper layer. The quadcopter comes fully assembled, with props installed. The charger and transmitter lie in the lower layer. The props are made of a rubbery plastic that resist dents very well. The English manual is easy to understand. The size of Rodeo 110 is only 110mm, as small as a palm. Its’ net weight is 97g, 143g including the battery, equivalent to an iPhone 6S. 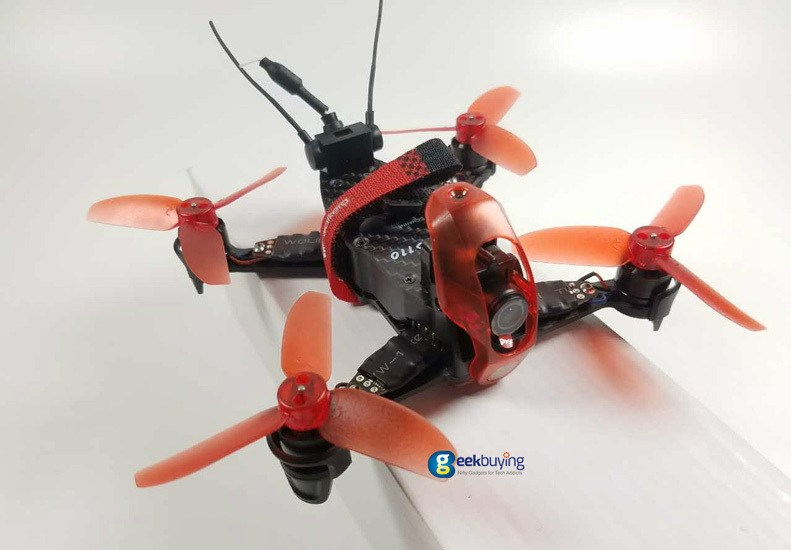 It is a flexible and light, agility racing drone. 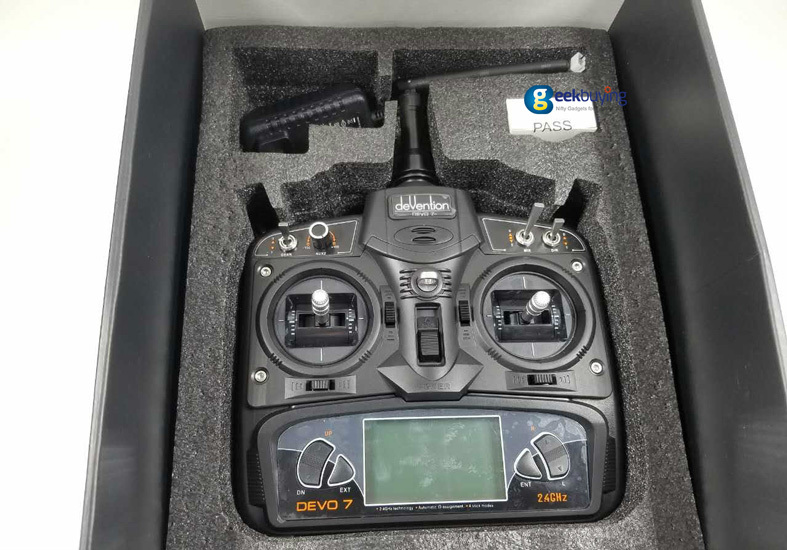 The mainly electric board comes with connectors for PPM/S-BUS receivers which enable Rodeo 110 controlled by other transmitters. 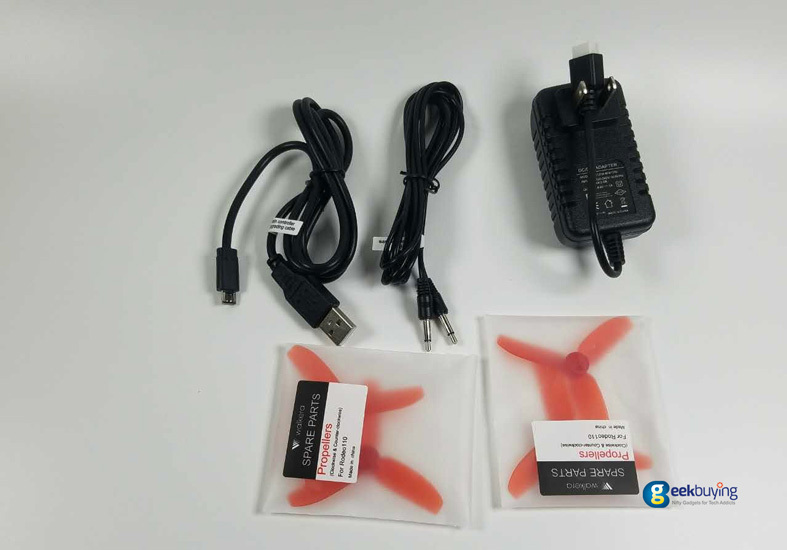 You can switch to other receivers to control the quadcopter. The Rodeo 110 is made of carbon fiber, which is impact resistance, corrosion resistance. With forearm arch design, overlong discharged surface can reduce the chance of breaking. Meanwhile, there is high strength protective canopy for motor and camera. 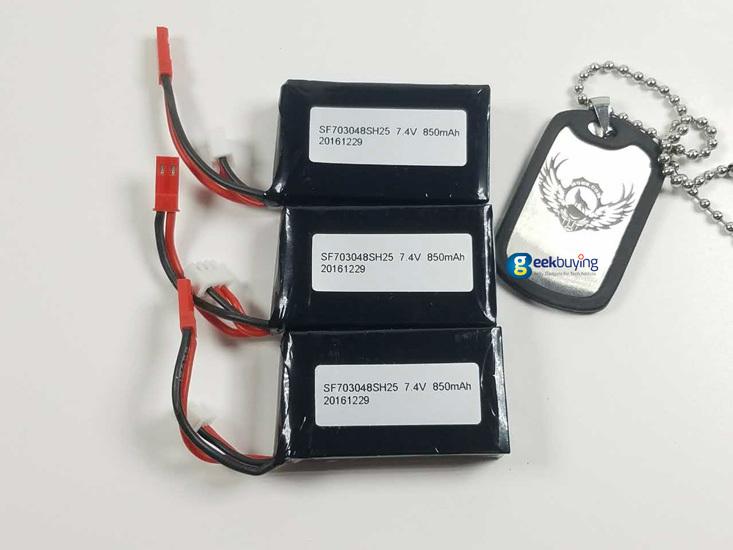 The Rodeo 110 is equipped with 7.4V 850mAh 25C 2S Li-Po, the same as for the Rodeo 150. 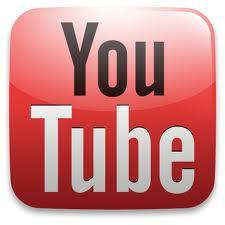 The flying time can be 7~8 minutes. Battery charging requires about 30 minutes. 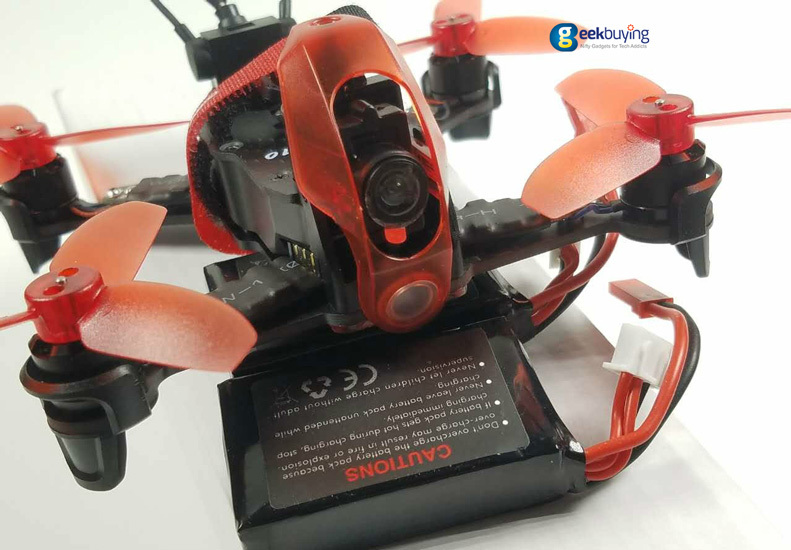 The Rodeo 110 is equipped with 600TVL HD wide-angle camera with adjustable angle 0°~45°, which can adjust corresponding camera angle according to flying speed. Strong searchlight carried in front of fuselage means you can flying in night or in the shadow. 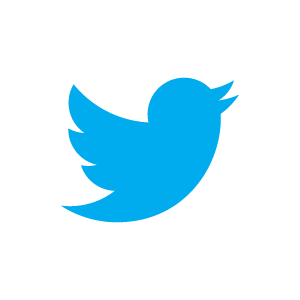 It supports 200mw/600mw high power real-time image transmission. The Rodeo 110 RTF version comes with the Devo 7 transmitter. 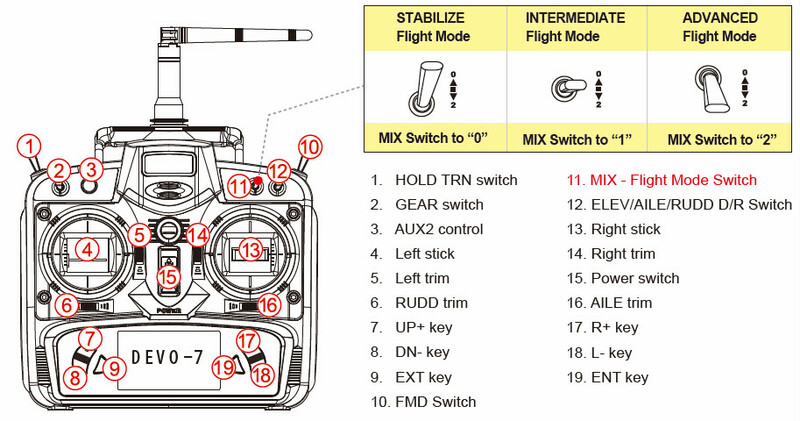 The transmitter supports stabilization mode, intermediate mode and advanced mode. You can select the appropriate mode according to your flight skills. 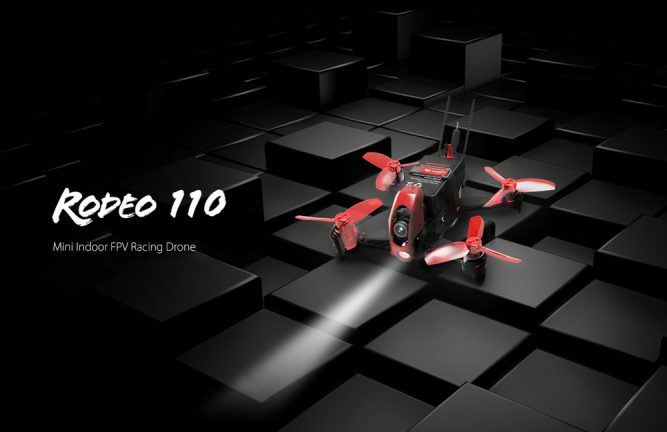 The Rodeo 110 was designed mainly for indoor flying and inherit the same features of much larger FPV racers. 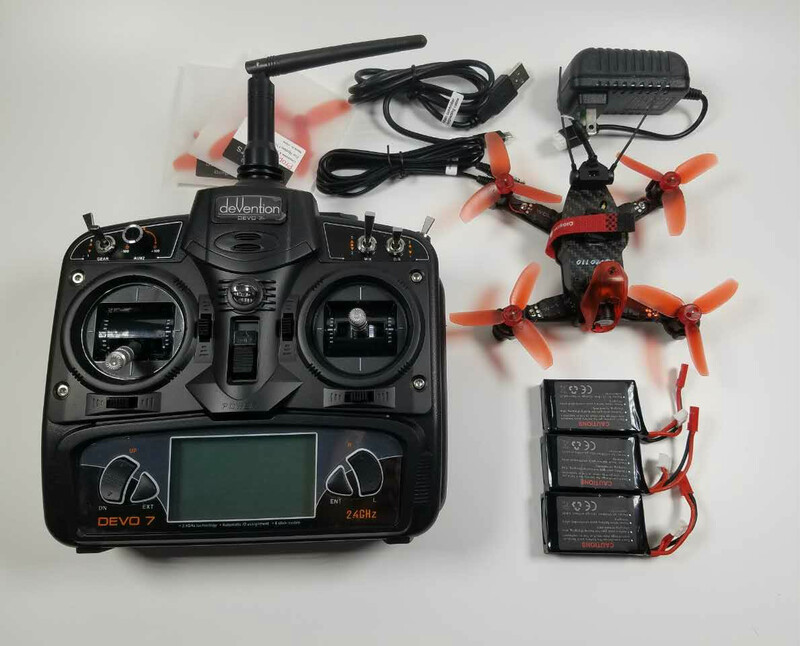 If you need a small brushless FPV quad, this is a good choice for you.